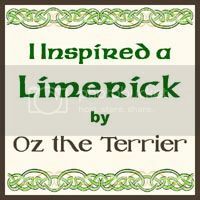 Are you looking for a one-of-a-kind special outfit for your dog or cat? Pet Monarchy can make your pet wardrobe dreams come true. 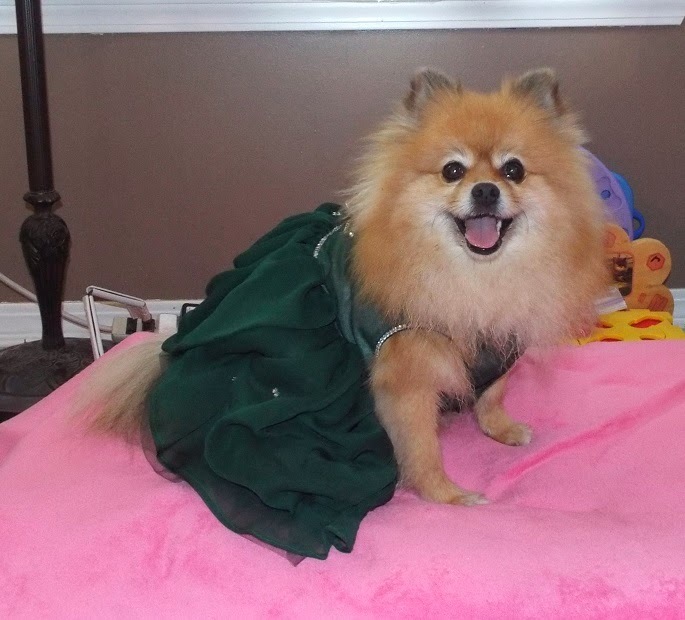 Pet Monarchy generously provided me with this stunning gown to wear at Global Pet Expo 2014. 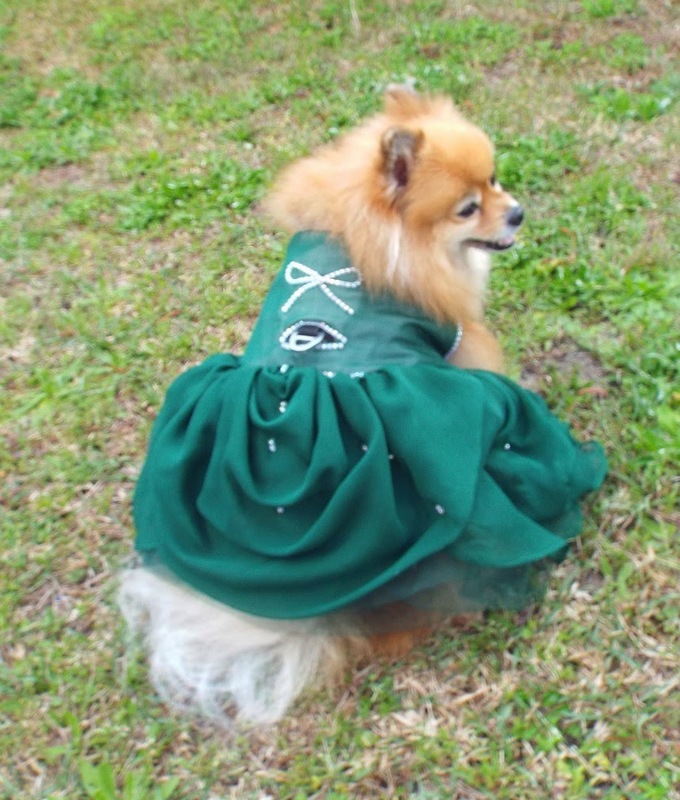 This is the dress I wore to the media pawties at night. 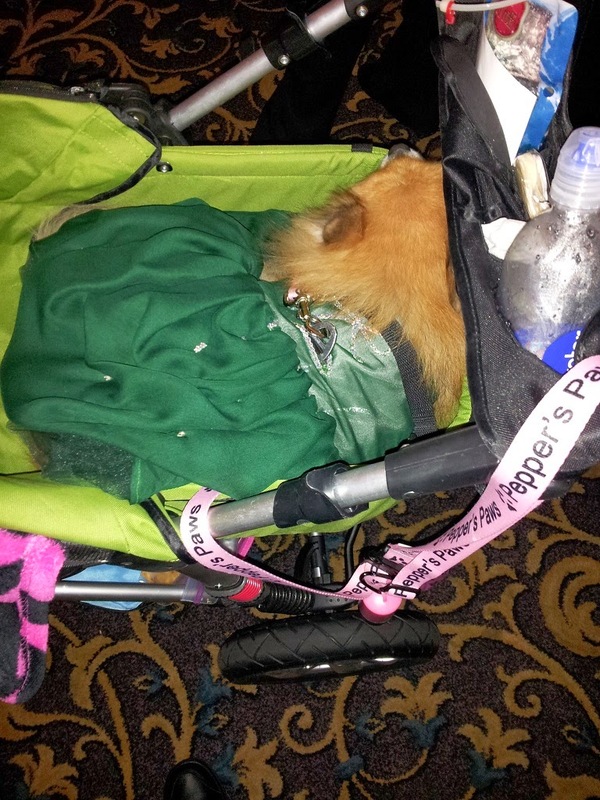 Is is so comfortable that I was able to nap in my stroller while wearing it. My scrumptious dress is made of silk chiffon with a silk lining. It features a net petticoat to puff it up. The petticoat allows the draped ruffling of the skirt to show even when I flip my tail up. My dress was fitted according to the measurements I provided, and with the special details I requested. One of my special requests is the extra large button hole for my harness hook to fit through. The way Pet Monarchy dressed up the buttonhole with rhinestone trim makes it look like a design feature instead of only a necessary opening for my harness. Pet Monarchy can select materials to complement your pet's natural coloring. She selected this beautiful deep green to highlight my orange fur. 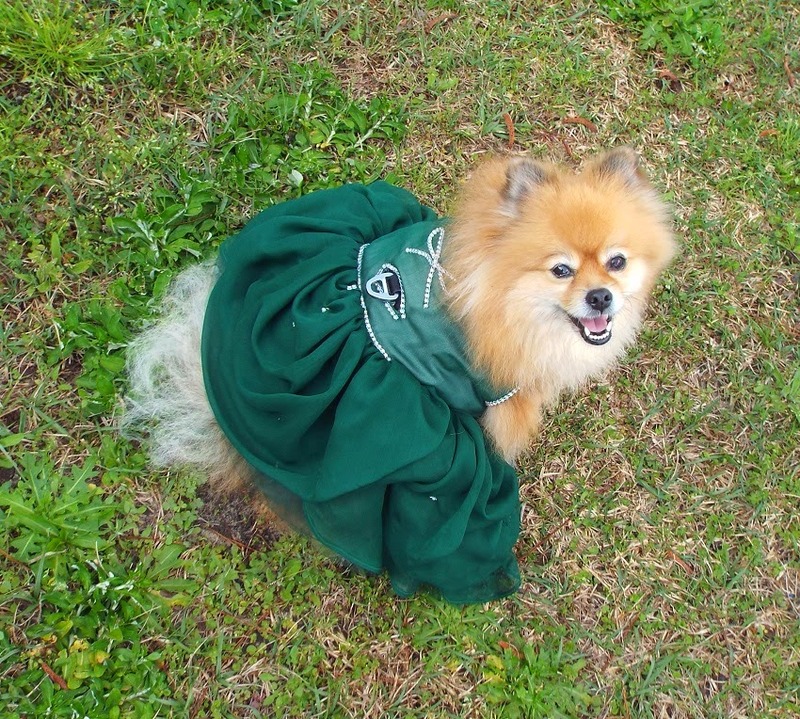 Pet Monarchy chose a lightweight silk chiffon so I wouldn't get too hot. She thinks of everything! My dress is hand washable, even though it is delicate silk. Mom is really happy about that because eventually dog clothes need to be washed. I guess we tend to get a little dirty sometimes. I adore the rhinestone trim Pet Monarchy used to add some sparkle to my gown. 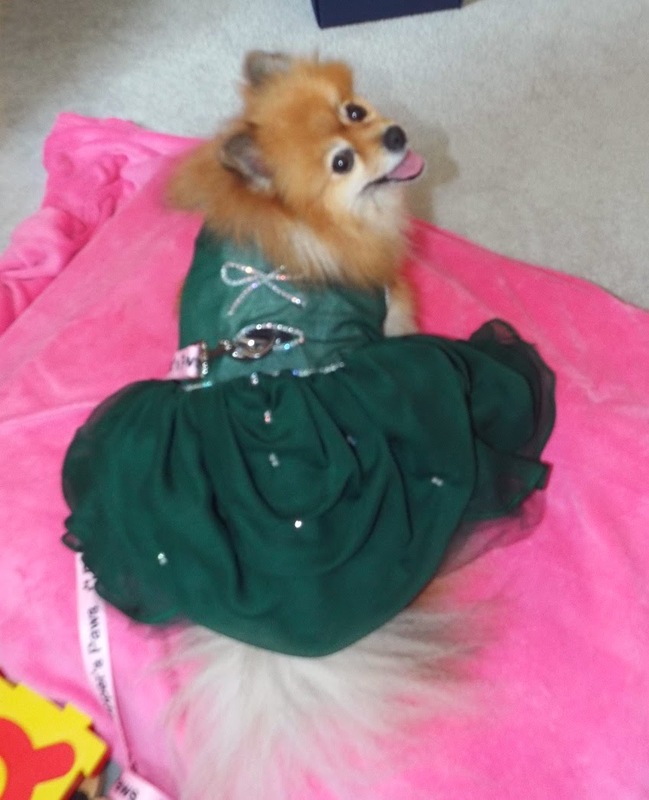 It makes my dress as sparkling as my pawsonality. Mom says this dress reminds her of the gorgeous gowns in the movie "Gone With The Wind". Pet Monarchy is very talented and creative. She can make your pet look like royalty or a movie star. The possibilities are endless. Dressed in this beautiful creation, I will be the belle of any ball I attend. You look lovely! 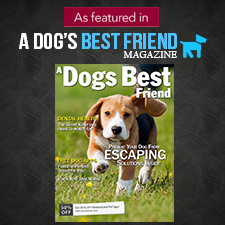 We hope to see you at BlogPaws! Thank you! I will be there! I will have a new Pet Monarchy gown for red carpet night! Thank you! I am a pink princess myself, but I do like to wear other colors too. In addition to pink ; green, red, and black are among my favorite dress colors. Wow, you were all fancied up! They need to create fancy leashes to match the gown! Hmmm, I suppose I need to go leash shopping now! BOL! A diva's wardrobe is always growing. Thank you! 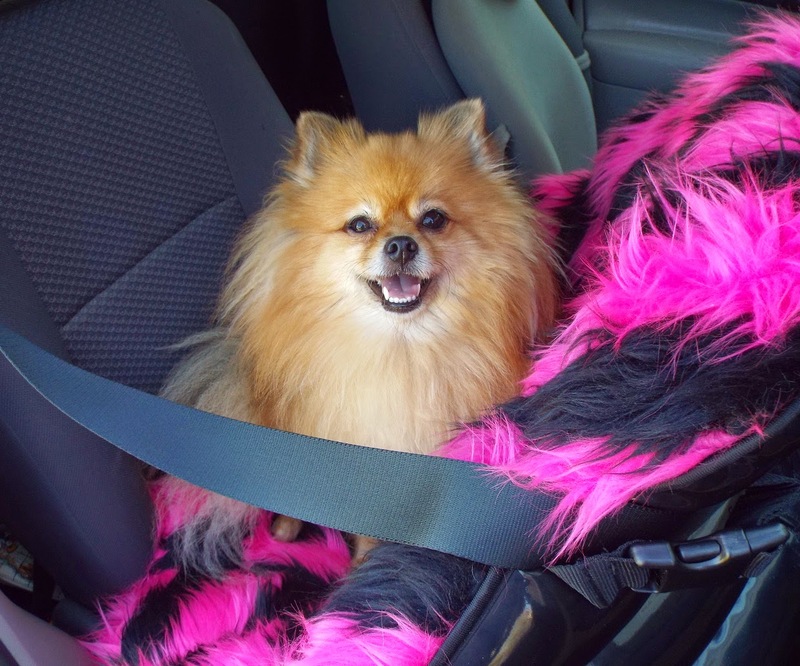 We will both look pawgeous at BlogPaws! So excited! Wow Pep, you look soooo sophisticated! Pepper! You are absolutely beautiful and this dress is just beyond amazing! You really do look like a Princess! http://petmonarchy.com/ is very talented in their designs are stunning. 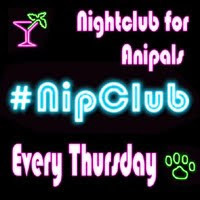 Thank you so much for posting, sounds like you had the best time, Pepper! Once they confirmed my measurements, the dress shipped very quickly and arrived within 3 days. I tried it on immediately and could not believe how perfect it was (is)! 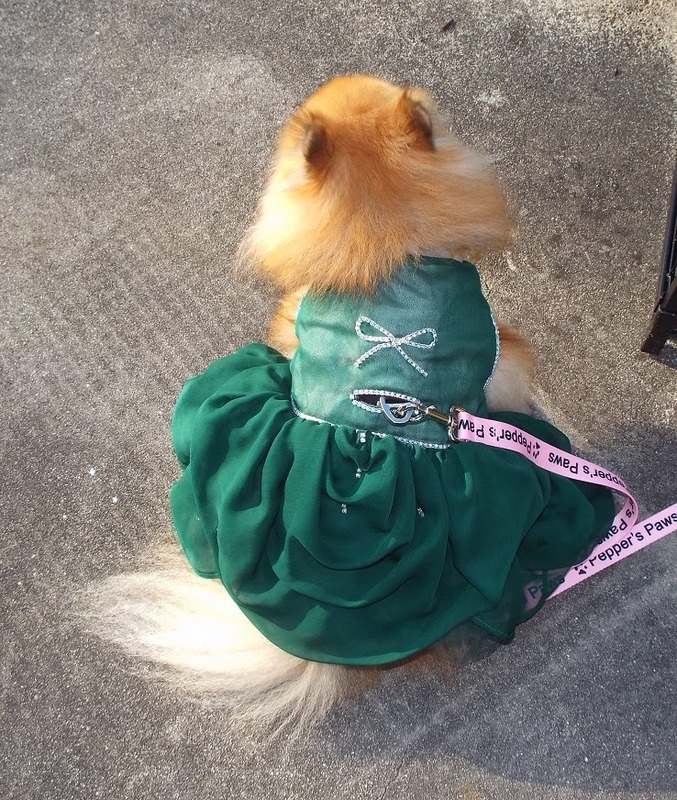 My gosh Pepper, you look absolutely gawgeous in that green! 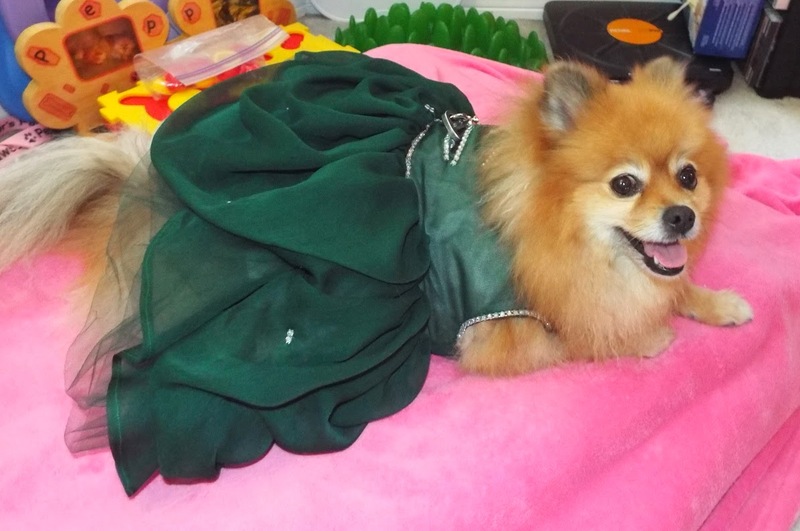 Its a beautiful dress and I bet you felt honored to wear a Pet Monarchy dress and she did a furbulous job. I love all the rhinestones and how your harness can still be clipped without removing the dress. The color looks so great next to your fur. You look like a princess! Dear Carma, it is so very kind of you! Thank you for beautiful compliments, they mean so much, specially since you've seen dress in person. We appreciate your undeniable expertise in fashion, as we know you are marvelous Diva yourself. We would be more than happy to have you as our Client in the future!